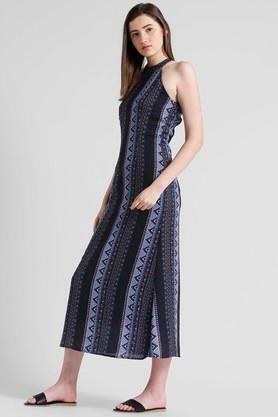 Channel smart looks in your casual wardrobe with this calf length dress from Zink. Made from polyester fabric, it will provide you with immense comfort throughout the day. 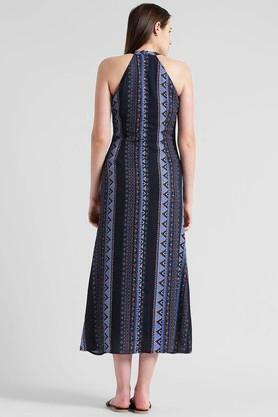 Featuring a round neck and printed pattern, this sleeveless dress possesses a stunning dash. Make a distinct appearance and get complimented with this calf length dress. It can be worn with a pair of bellies for a stylish look.